Sailhouse community is located in Newport Beach, California. If you are looking for a bungalow style home in Newport Beach then Sailhouse homes is a great place to start. 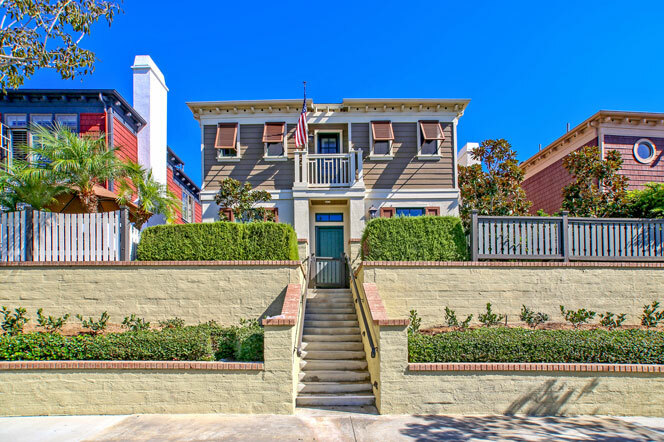 These townhomes are located directly in the trendy part of Corona Del Mar and in the heart of Newport Beach. These townhomes are located near the Point Del Mar community & Fashion island shopping center with a very short walk to the beach & the Newport Bay. Expect home prices to start in the $1.5 million range and up with a private and secure location. Select Sailhouse homes will offer ocean and great sunset views. The Sailhouse Newport Beach has homeowners association dues that average $240.00 a month. Sailhouse homeowners association phone number is 949-833-2600. If you are looking for a deal in Newport Beach then make sure to watch the "short sale" or "foreclosure" properties that come on the market. These can provide real estate prices below market value. This is one of the best locations in Corona Del Mar and within walking distance to the beat shopping and restaurants on Coast Highway. For more information about Sailhouse homes for sale please contact us today at 949-444-1901. We specialize in the Sailhouse community and Newport Beach Real Estate.